For February 2019, we are pleased to share insights from Andrea Brockway, Counsel, Saul Ewing Arnstein & Lehr (Philadelphia, PA). 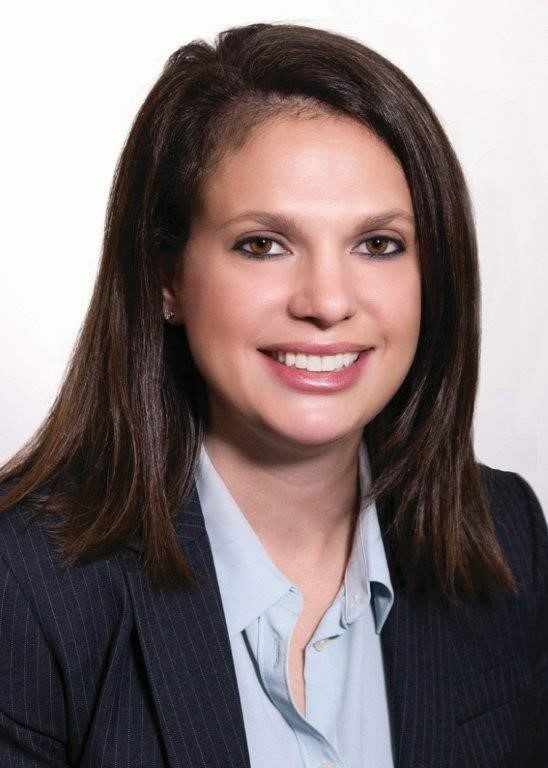 Andrea Brockway: I started at the firm as a full-time litigation associate in 2008 after graduating from Temple Law School. In late 2010, I switched to a reduced hours schedule after the birth of my first child. The firm had a formal flex policy in place when I asked to reduce my hours, and my request was approved. Since switching to flex eight years ago, I’m now the proud mother of four children and have maintained a successful litigation practice representing clients in higher education and white collar criminal defense. The firm and my colleagues have always been supportive of my flexible work arrangement because they trust I’m going to complete the work and do it well.As a litigator, my work and deadlines vary day to day, but I try to block off Fridays to focus on my family. Even though the nature of litigation doesn’t always fit that schedule, my flex hours enable me to decline non-essential meetings scheduled on Fridays. My coworkers understand because they know I’ll always attend to my work commitments on time. When it comes to flex, it’s not just the reduced hours, but it’s also the flexible work environment that’s been helpful for me. The firm has been very supportive of me working remotely where feasible. This locational flexibility allows me to save on commute time and also affords me the ability to work before/after traditional office hours. I make flex a priority through communication and organization. All of my commitments are calendared – whether it’s a court deadline or bringing Valentine’s Day treats to my pre-schooler’s classroom. Everything is scheduled, and I’m available via my cell phone or email. I recently started using an app called iTimeKeep to help me stay organized and on top of my commitments. It’s been extremely beneficial for my time management and prioritizing tasks throughout the day. AB: Clients are people too; they have lives outside of the office, and my schedule has never been an issue for them. Again, communication is key, and everyone understands that life happens. I’m always available for my clients, and they know I deliver high-level work. AB: Flex has not only made my career sustainable, it’s made my life sustainable too! My career arc and my parenthood arcs are convergent – they’re both long, important, and related to one another. I understand that high quality work is the life-blood of the firm, and I believe my flex schedule has enhanced my strengths as a litigator. As I’ve become more senior, I’ve enjoyed taking the lead on managing cases, which has also provided me more autonomy to manage my flex schedule. AB: I wouldn’t do anything differently, but I would tell my younger self to have more confidence in my decisions. I was talking with a partner the other day who advised me, “you do you,” which is so true. You have to find a way to be true to yourself and forge your own path. Flex has allowed me to do that. I would also note my appreciation of the support I have on the home front – my husband, family, neighbors, and nanny. It really does take a village, and you need teamwork from all aspects of your life. AB: One of my resolutions this year is to take more time for myself to recharge. With four kids ranging in age from 2 to 8, it’s hard to carve out “me time,” but I take every 5-10 minutes of alone time as a win! I’m working on incorporating meditation into my daily schedule, and when I do have the time to go outside, I enjoy hiking and reading for pleasure. I can’t remember the last time I did this, but I would love to do it! I pay it forward at the firm by mentoring associates regardless of whether they’re exploring flexible work or not, and I’m a member of the firm wide Career Development Committee. I believe I have some insight to offer my mentees about how to reach their own, unique version of “having it all.” At the end of the day, we’re all just trying to be our best selves.